Do You Dread Going To Work Everyday? 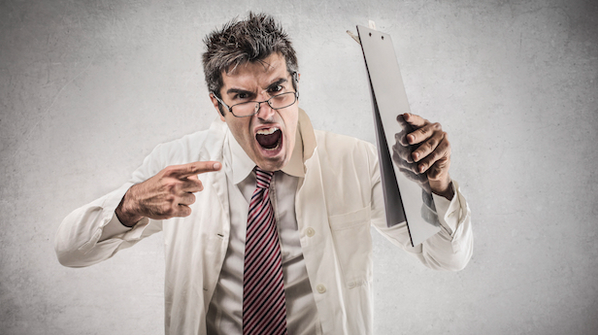 Have you ever had a terrible, awful, annoying, rude, unfair boss? At some point in our lives, all of us have had a terrible boss. My terrible boss story includes frozen fish food, piranhas and Christmas Eve – but I won’t get into the details. When I’ve had bad bosses in the past, my first instinct has been to talk about it. With family, with friends, with the grocery store clerk; with just about anyone who will listen. The trouble with talking about it is, it can take a stressor that takes up eight hours of your day and stretches it to taking up 10, 12, 14 hours, or even more. Why give your boss more power and control than they already have? Try keeping work at work and reclaim your off-work hours for things that are fun, relaxing and pleasurable. To read the rest of the tips, check out the entire story here. 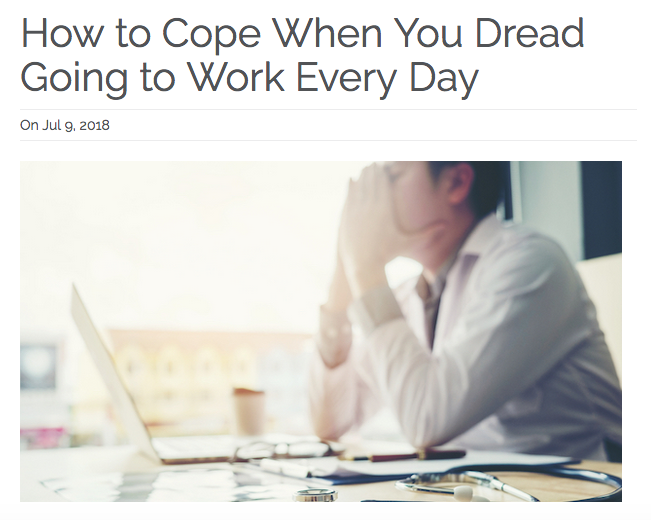 I was recently interviewed for the above story on dealing with stress and negativity at work. Who among us hasn’t dealt with these issues at least once? Especially in this era of mass layoffs, downsizing, and salary reduction, negativity in the workplace can spread like the flu. If you have a negative (and talkative) office mate, it can feel almost impossible to maintain a positive outlook. I once worked with a woman who – I kid you not – had absolutely NOTHING positive to say about our workplace. She was pretty negative about life in general, but in the 6 months I worked with her, I never heard her say anything even remotely positive about our job, co-workers, or employer. It was a tough few months. I struggled to stay positive around her, but often felt like a polyanna – I ended up sounding unrealistically hopeful and upbeat. So how do you stay positive around a negative co-worker without sounding like a phony goody-two-shoes? Minimize your interactions. You may not be able to control the amount of time you spend with a co-worker in meetings and other work-related activities, but you can curb the amount of time you spend with them on breaks, lunchtime, and after work activities. If you must, make up excuses (I have to pick up the dry cleaning at lunch today, finish this book for book club, etc)! The time away will do you good. Establish a no-work zone. We spend so much of our lives at work, it can be easy to waste many of our non-work hours re-hashing what happened when we were on the clock. If your workplace is negative or causes stress, stop talking about it when you aren’t there! This sounds like a no-brainer, but it is harder (and more helpful) than it seems. Give it a try for a week: Once you get in your car to come home, don’t allow yourself to talk about, email about, text about, Facebook about work until you arrive at the office the next day. Take your breaks. I love watching shows and movies from pre-technology days, when people actually took their lunch breaks. Sure, drinking 5 martinis and sleeping with your secretary over the lunch hour (a la Mad Men) might not be the best idea, but getting out of the office and taking a break from the computer is great for your mental health (and your productivity, by the way). What do you do to stay positive in the face of negativity?